The remarkable Ramos Family acrobats fly into the air, tumble and twirl in amazing routines of skill and athletic dexterity. SATURDAY 14 JULY l BIG MANDRAKE + PARRANDA! @ LATIN AMERICA AT THE GAMES – LONDON 2012 GRAND OPENING & VENEZUELA’S INDEPENDENCE DAY AT THE NEW LATIN CORNER. 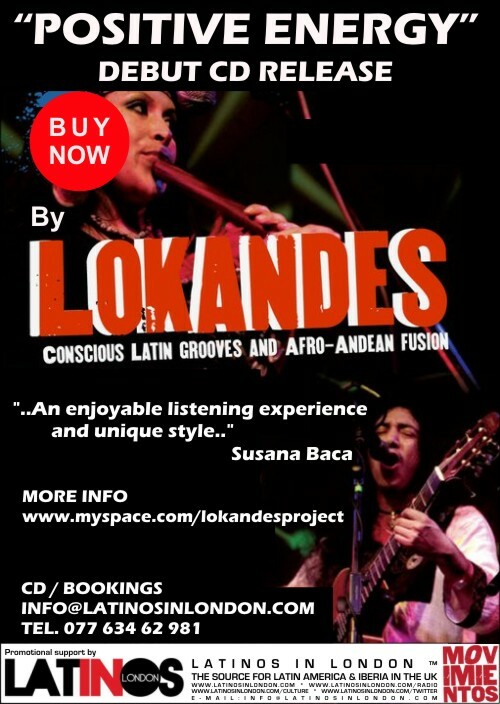 Movimientos presents @Hootananny – Saturday 7th April: Los Chinches, Cumbe & direct from Brasil : Orquesta Voadora. + Dj Cal Jader, Deejay Arias + Dj Drew Salida.